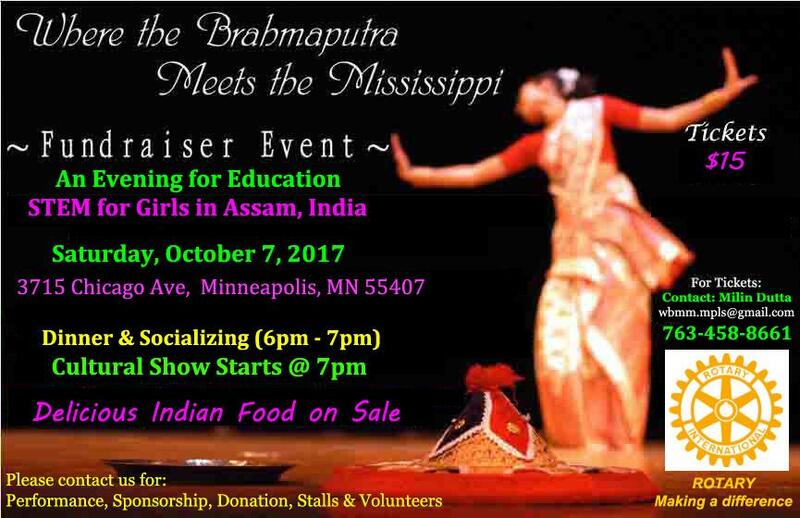 Minneapolis South Rotary will host a sew-a-thon for Days for Girls, a group that provides feminine hygiene products to girls world wide. There will be jobs for everyone, whether or not you sew. 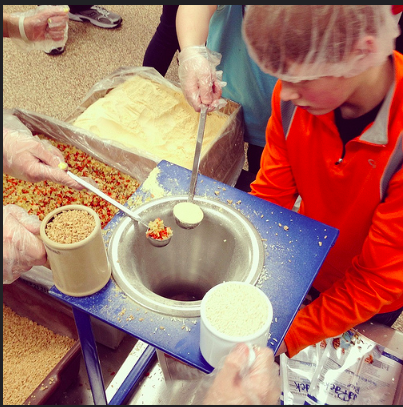 Join Minneapolis South Rotary's January service project: pack food for Feed My Starving Children. The packing will take place on Tuesday, January 31, starting at 6 p.m., and the Eagan packing center. We need exact numbers for participation. REGISTER HERE. Four Minneapolis teenagers will spend the 2017-18 school year abroad, sponsored by the Minneapolis South Rotary Club as North Star Rotary Youth Exchange Students. Sudden Cardiac Arrest can happen to anyone, anytime, anyplace and at any age. And, when it does happen, it is almost always fatal unless people take action. Learn the life-saving skills of CPR and how to use an automatic external defibrillator (AED) with confidence on November 17, 7:30 pm at the Center for Fathering. 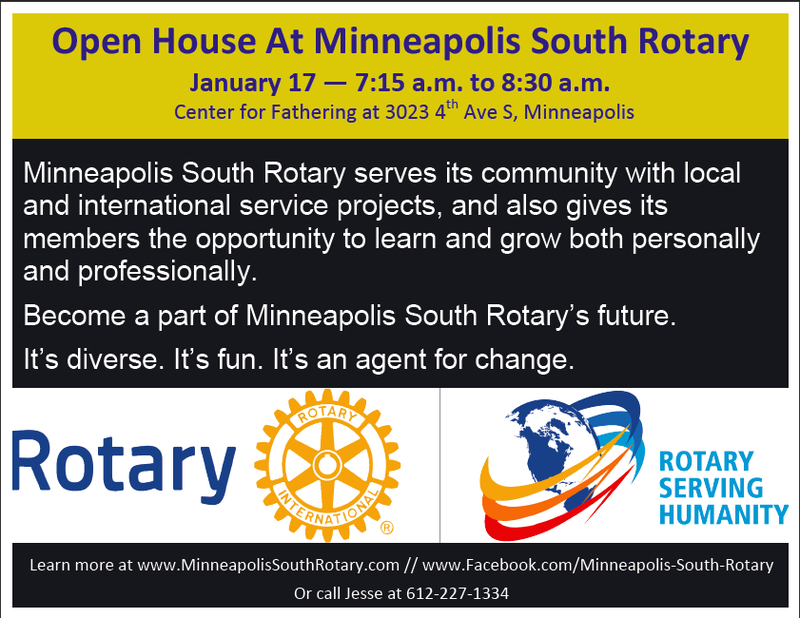 Minneapolis South Rotary Welcomes You! Join us at a fun, informal and informative meeting. 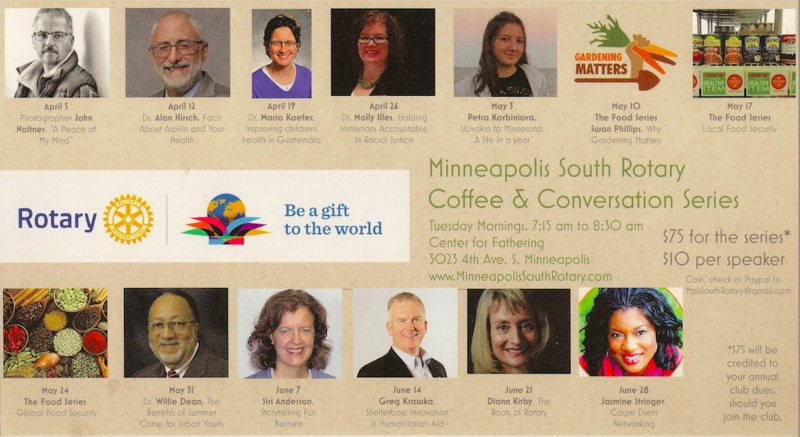 We meet every Tuesday morning for coffee, an interesting speaker and to help engage ourselves in our local and international communities. It cost nothing to attend a meeting, and you'll leave enriched. 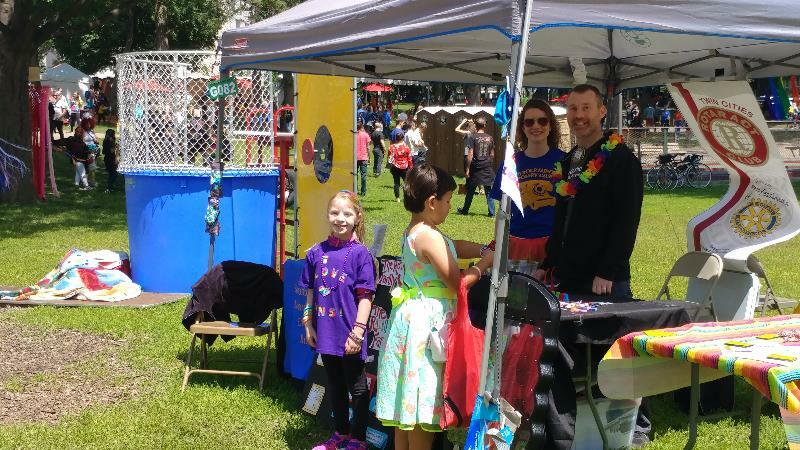 Our local initiatives include youth-oriented projects such as mentoring, providing school supplies and winter outerwear to kids in need, and high school youth exchange. We also make monthly donations to local charities, as selected by the club. 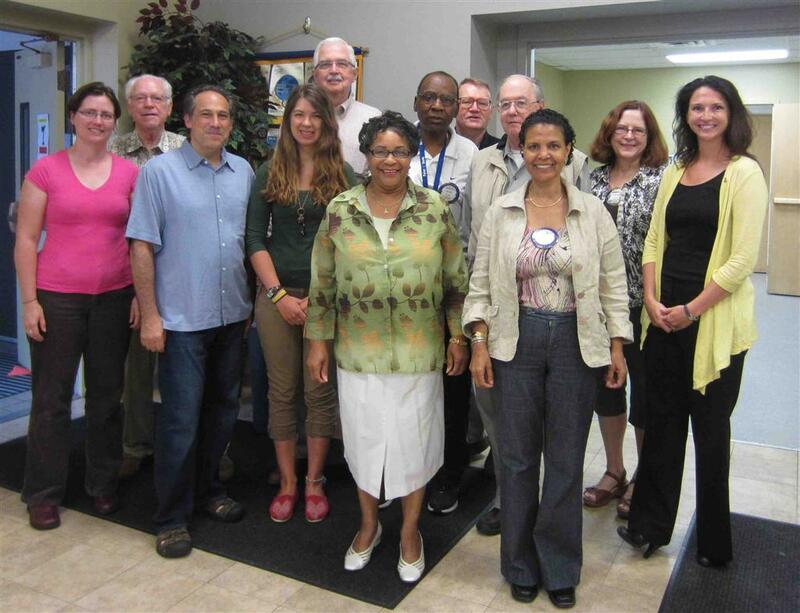 Internationally, we support entrepreneurs, sponsor scholars, and help with Rotary International initiatives such as polio eradication (Polio Plus) and its emergency shelter program (Shelterbox). The doors open at 7:15 a.m., meetings start at 7:30 sharp and end promptly at 8:30, so you're on your way to work with fresh perspectives and new knowledge. Be a part of the most exciting, demanding and rewarding program for teenagers: Become a Rotary Youth Exchange Student in one of 30+ countries. Past STRIVE scholar Wicahpi Cavanaugh earns another scholarship. 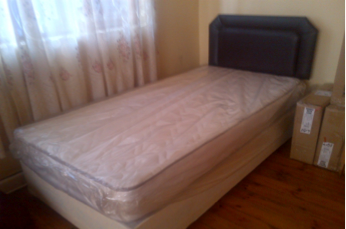 Minneapolis South Rotary Club, along with the Edina and City of Lakes Rotary Club, helped purchase these beds for a women's shelter in Woodstock, South Africa. 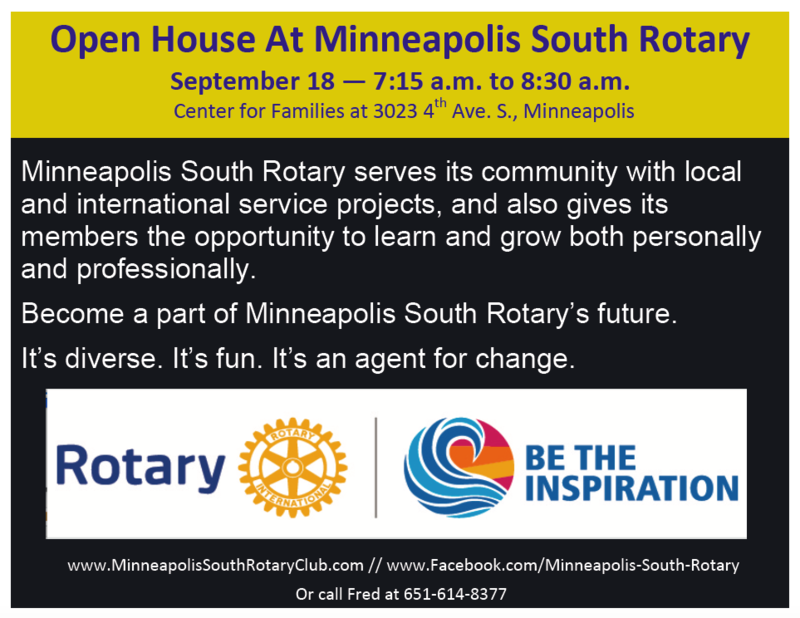 Minneapolis South welcomed one of its two Rotary Youth Exchange students on Saturday, August 11. 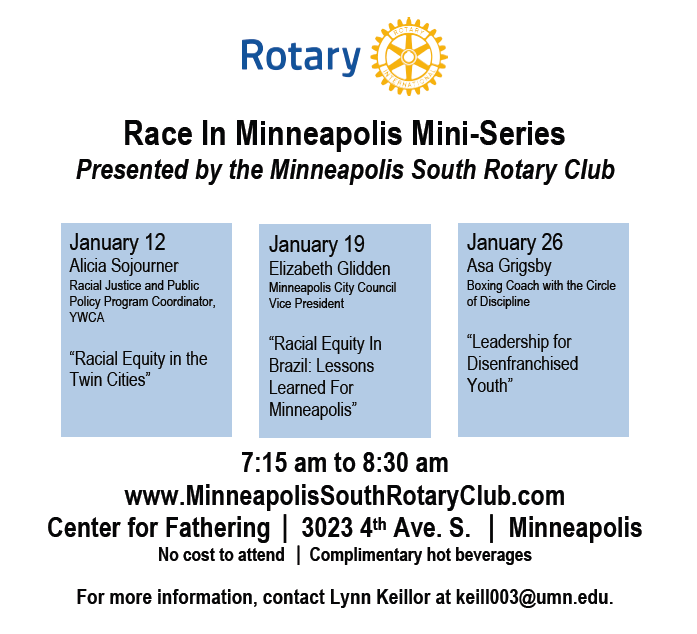 The Minneapolis South Club will participate in its second year of Rotary Youth Exchange by hosting a high-school student from India. Learn what it’s like to be a high school exchange student or learn about opportunities to become a multi-national family via hosting for a three- to four-month period. 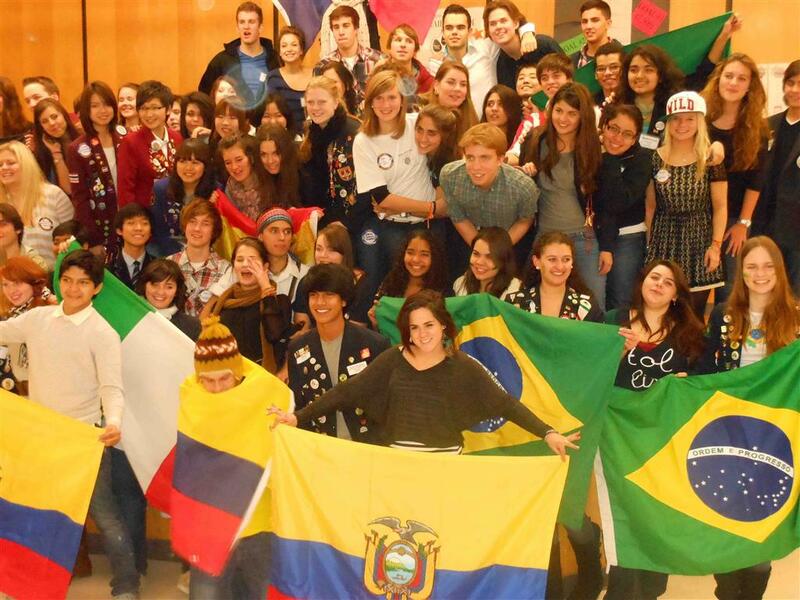 Talk to high school students who have gone on exchange, and to families who have hosted.